The cooperation of the Musikhochschule of the Westfalian Wilhelms University with the Museum für Lackkunst in Münster and the label ambitus had the objective that various regions of the world would be introduced musically, thus yielding insights into their cultural identity. 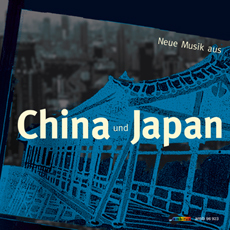 The China-Japan project emphasises manifold linkages and connections that have developed between the traditional music of Asia and Europe since the end of the 19th century. The debt owed by the European and American Modernism, and even jazz, in terms of inspiration and stimulus to the art of the East, is an open secret. Furthermore, it was the Modernist streams that have contributed to the fact that, in the established traditions of the music of the East, a new generation of Chinese and Japanese composers has emerged.